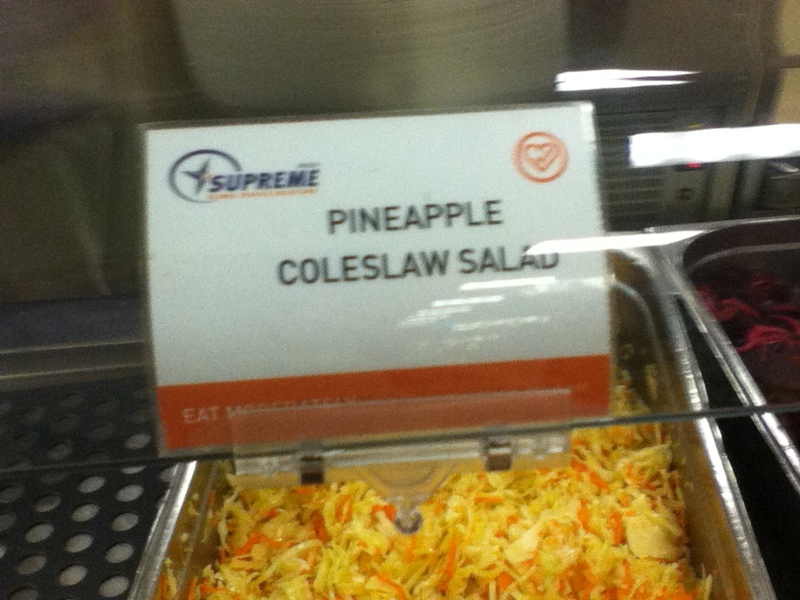 I guess I should consider myself lucky it’s not Pineapple Coleslaw Jello. J, A and I walked over to the Far East for dinner tonight (again). While supping on Pineapple Coleslaw Salad (is there a coleslaw that isn’t a salad? ), Breaded Chicken Breast and, of course, Stir Fry our conversation turned, inevitably, to a discussion about washrooms. You see, a few days ago ownership of our accommodations building changed hands. Unfortunately, the company now responsible for maintenance of our building doesn’t think that cleaning is their responsibility. Similarly, the company that previously maintained the building has washed its hands of that responsibility. So, our already disgusting washrooms have reached entirely new levels of ohmyfuckI’mgonnavomitishness. Today, poor A was feeling under the weather so took the day off and stayed back in his room. I got a surprisingly matter-of-fact email from him telling me that there was no toilet paper in the washrooms and none to be found anywhere in the accommodations block. I replied that he should check the breezeway because there were boxes of the stuff there a couple of days ago. But no, apparently the previous maintenance company took it all when they handed over responsibility. Thanks. Given the nature of A’s…umm…malady, I understood that getting some TP to him may be a matter of some urgency. So, I grabbed five rolls from the rocket at work, urged all the folks on shift to take a roll and one for a friend when they left that evening and high-tailed it to the rooms. Now, “high-tailing it” in KAF is somewhat less frantic as it is done between 20 and 40 kph. For those not easily bored and/or interested in a tour of KAF, I made a video of the entire 17 minute experience. Once again, I do not condone photography while driving. I condone very little of my own behaviour. But, back to the topic at hand. Over dinner I explained to the guys why our washroom has not been cleaned in three days and why there is no TP. I assured them that our intrepid logistician, L, was going to ensure our TP needs were met as soon as possible. The conversation then degenerated as it is wont to do around here. Yes, our conversations degenerate from talk of toilet paper and unclean washrooms. J:”But you have to time it right” . Me: “Of course. 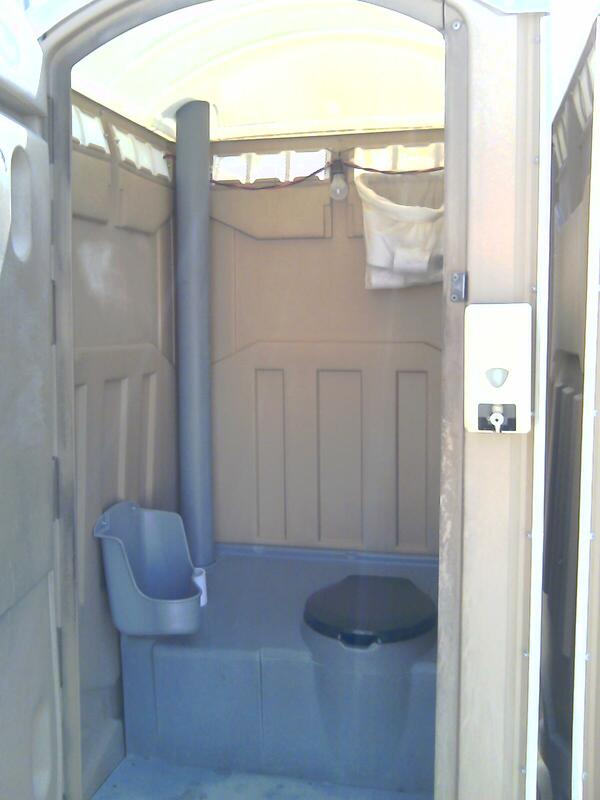 You don’t want to be sitting in a rocket at 45C at three in the afternoon” (At that point it’s pretty much a very disgusting sauna with a hybrid steam consisting of poo, urine and antiseptic). We all nodded solemnly in agreement. This is what we have become; people who earnestly talk about the best place to take a poo while happily contentedly resignedly eating pineapple coleslaw salad. This entry was posted in Far East, KAF Life by Kafoodie. Bookmark the permalink. I must sheepishly admit to being rather fond of the pineapple coleslaw. The stir fry sans chili sauce and dried out chicken is another matter. Please keep us up to date on the accom shituation! Do you need me to send over copious amounts of toilet paper? Thanks Lynn but we can get it locally. “I condone very little of my own behaviour” I love that line!